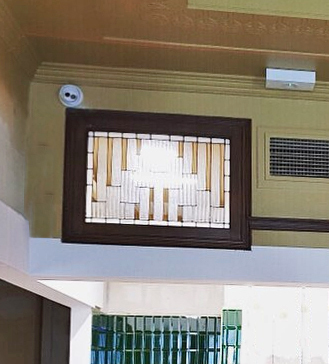 After three years closed and a big renovation, Ben McBeath has today reopened the historic six-storey Great Northern Hotel to a thriving new Newcastle. The striking Great Northern on the corners of Scott and Watt streets was built in 1938 in the immensely popular Art Deco style, offering a large street-level public bar and 88 accommodation rooms above. Kurt Braune bought it in 2003 and lodged a DA a year later to restore the building, but ended up selling it in 2013 to Sydney-based developer Bass Elhashem. In 2015 Elhasham revived plans for the restoration and work commenced, but stopped again when it was realised the building would require an electrical substation. Around this time work began on Newcastle’s light rail that saw the street torn up outside the pub for more than half a year. 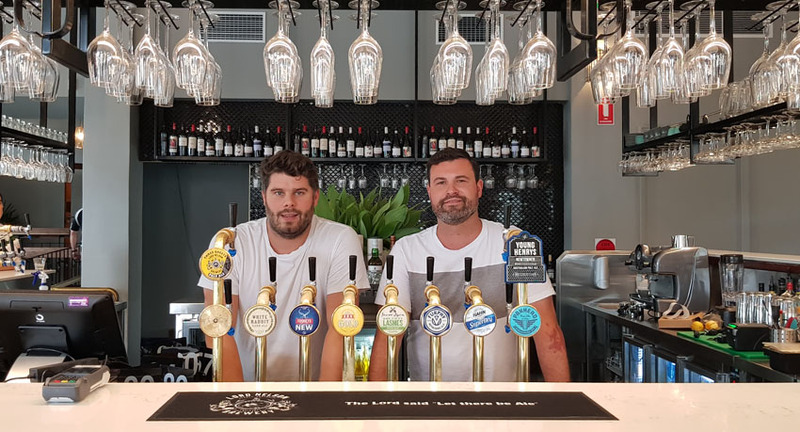 McBeath, who operates Sydney’s Arthouse Hotel and the Deck Bar in Dee Why, teamed up with business partner Myles Plenty to restore one of the city’s most time-honoured institutional drinking holes. After months of work by an army of tradesmen and pressure to meet a deadline of opening for The Cup, the cards fell in place and the doors swung open today to the main bar and new sports bar. “Our world’s been turned upside down a couple of times, but we’re now open for business as usual, and then Tuesday is going to be a big, interesting and stately hoorah,” says McBeath. The pair have worked with the very active Newcastle City Council and the NSW Office of Environment & Heritage to find solutions to heritage-related dilemmas, preserving and often reinstating old elements while building it to work. “We’ve retained all aesthetic features in the sports bar, and I guess freshened up the main bar to look more like the original layout. McBeath and Plenty will next turn their attention to restoring the Great Northern’s first-floor bar, and creating a rooftop bar and dining offering. Plans continue to revive the accommodation rooms, which have not been in use for 25 years. It is hoped these will be operational mid-2019, and the freehold owner continues to explore the possibility of new serviced apartments at the site of the Hotel’s former annex structure. The new light rail has installed a station around 100 metres from the pub, and the scale of development in the area has McBeath impressed about its future potential – of which they will likely get a taste tomorrow when a race stops the nation.